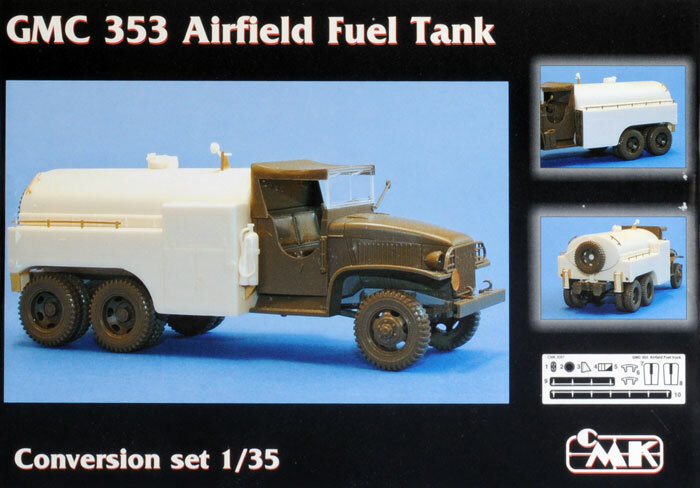 This set converts the Tamiya 1/35 scale GMC (or Jimmy) truck into an Airfield Fuel Tanker. The set covers 16 cleanly cast resin pieces with a small photo-etch fret together with a well printed decal sheet. The well illustrated instruction sheet covers 5 construction sequences. Care will be needed when removing the resin casting blocks from some parts (such as the large lower chassis casting) and some minor trimming will be needed to preserve some of the smaller pieces. Generally the casting is very well done the large tank for example has no air bubbles present and fits “like a glove” to the lower chassis assembly. 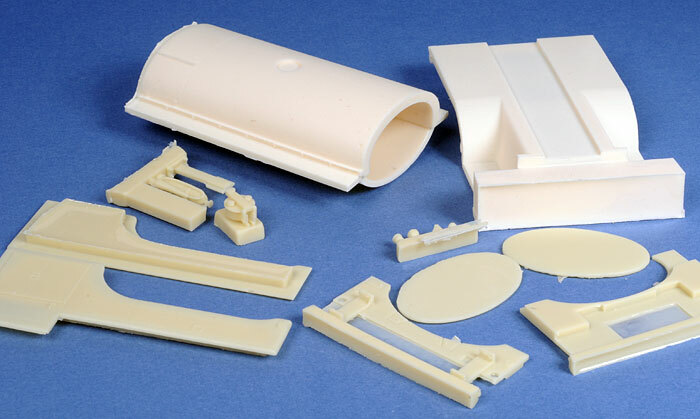 My only real disappoinment in this set is the photo etch, which provides hand rails that run along the top of the tank as flat etch, and these of course should be round. These should ideally be replaced with brass wire or sprue. 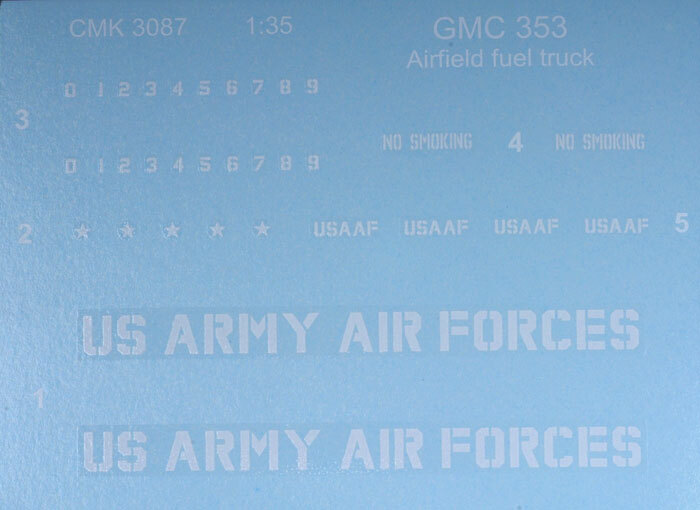 The decal sheet is well printed and thin. This set does not have a thousand parts and “uber detail” but what it does, it does generally well.